You know our prices are already the best around right? Well, you need to see the REDUCED PRICES on items in this sale! UNBELIEVABLE, AMAZING, GOB-SMACKED, are some viewers comments. So come in soon, or miss out badly. CLEARANCE ITEMS need to make room for NEW stock. ifurniture, once again sticking to our motto: Better, Cheaper, Smarter! BROCKWORTH is made for lounging, which features deep seats and clean exterior lines. WEXFORD series 180cm Dining table in weathered color. JAVA series washed Acacia 1 drawer coffee table. The Alicia sofa collection offers a casual look and is perfect for any living room. CALINGTON series Rough Sawn solid pine made dressing table + mirror. 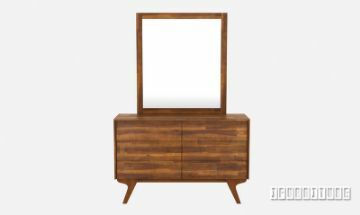 Solid acacia wood made dressing table and mirror from our SIERRA range. VISTA Mattress in All sizes. Medium firmness. WOOLSHED series Rough Sawn solid pine made TV unit. Solid white washed Acacia buffet long 160 cm or 180cm. A modern design sectional sofa. CALINGTON series Rough Sawn solid pine made bedside table. 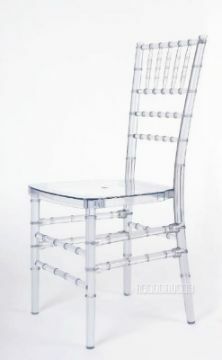 Clear CHIAVARI Chair *Perfect For Wedding! A popular chair always seen in wedding or other events. The classic Chiavari chair is now available in clear, adding a new and contemporary twist to the elegant and popular seating option.